Pierre Portelli spoke yesterday about his University days. He graduated with a first degree in Communications in 1998 around the time the TV station he now runs, NET TV, was being created. As a graduating mature student he felt it was appropriate to ask political parties how they felt about owning TV stations and made that the topic of his dissertation. Highlights from his undergraduate thesis made it to The Times in this page 7 report. 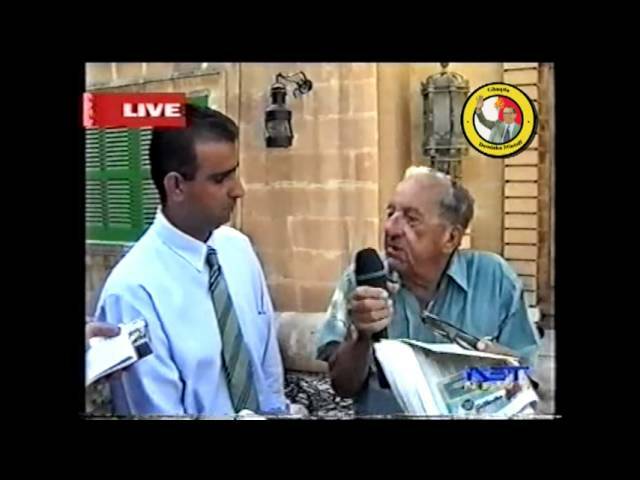 At the time Eddie Fenech Adami told him “party ownership is a transitional phenomenon in Malta. Speaking at a time when the Nationalist Party was still preparing to set up its TV station Dr Fenech Adami said the fact that the PN was about to have its own TV station should eventually lead to the termination of the need felt by the parties to own their own television stations. It all feels so sadly naive and hopelessly optimistic now. I don’t mean incorrect, mind you. If our politics had indeed matured since 1998, and our democracy reached some form of state of normality, the media landscape in Malta would not be owned and controlled by political parties. Young and wide-eyed Pierre Portelli asked a prescient question to political parties in 1998. Did they see their ownership of TV stations as a threat to democracy? They answered no, of course, but the significance is not in the predictable answer. It’s in the question. 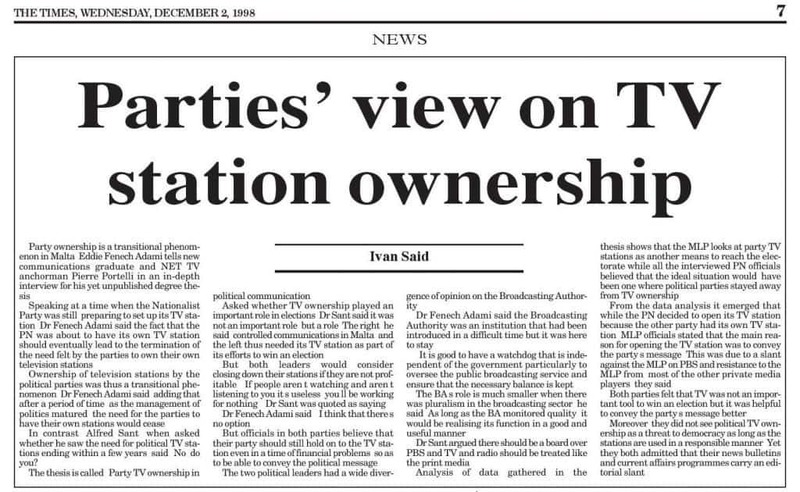 Pierre Portelli understood in 1998 that TV stations could be used by political parties to undermine democratic life. Now, twenty years later, he runs one and uses it to pursue his own personal vendettas. There’s this new idea that Pierre Portelli started yesterday that I’m a ‘mercenary’. Robert Arrigo — fundraiser in chief for the PN — is mocking the fact this website accepts donations from its readers. “It’s all for the money”. I have not yet found a way of living without money though my expectations are low and my wife makes up for my puerile contribution to the household income. But can I really be called a mercenary by people on a political party’s payroll?